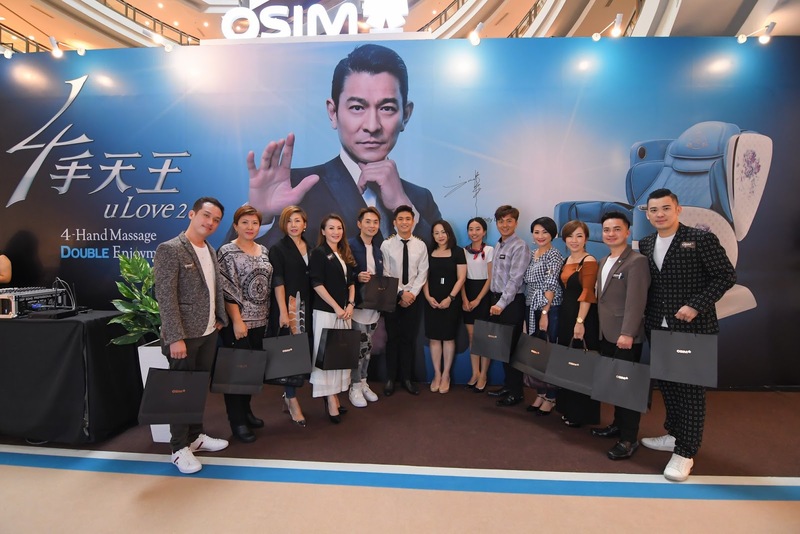 OSIM raises the bar on massage therapy with the launch of its latest uLove 2 massage chair that features the revolutionary 4-Hand Massage Technology in One Utama. Once again, Asia’s perennial pop icon, Andy Lau (who was the spokesperson for OSIM’s first uDivine massage chair in 2010), has been handpicked to be the ambassador of uLove 2. There is no one better to perfectly reflect the chair’s exceptional qualities and represent its revolutionary innovation than Andy Lau, the man who has been continuously reinventing himself and fearlessly breaking boundaries in his industry. Andy who has now become synonymous with the OSIM brand expresses his excitement in continuing this proud legacy and being the face of this divine invention. “I’m deeply grateful to OSIM, for giving me the opportunity to represent its exciting innovations in massage therapy. With uLove 2 and its revolutionary 4-Hand Massage technology, I have never felt more relaxed and refreshed after a massage session. It’s truly a world-first in wellness for a complete full body rejuvenation." The chair’s most outstanding innovation is the 4-Hand Massage technology that boasts 4 sets of powerful massage rollers designed to work in sync to massage your upper and lower body concurrently. This mechanism mimics the four-handed massage technique practiced by masseur/masseuse in most countries in Southeast Asia. This is complemented by the V-Hand™ Massage that perfectly emulates the techniques and the flexibility of a masseuse’s hand; It perfectly executes grips that are akin to a human hand to extract deep-seated knots. The 720° roller balls are able to rotate 360° in both directions and help reach the more challenging contours of the human body. “My years of experience in massage treatments provided me insights on users’ needs, and the knowledge to design effective lifestyle massage programs that not only address those needs but are also indulgently enjoyable,” says Sato Tsuyoshi, Japanese Chiropractic Massage Expert and creator of uLove 2 massage program. A four-hand massage is performed by two masseur/masseuse using synchronized massage technique on two body parts simultaneously – usually upper and lower – to give you the same result as getting two full body massages at once. OSIM has configured the design and technical features of the uLove 2 massage chair to provide a pampering experience like no other. The uLove 2 massage chair’s curated suite of auto massage programs have been customized to cater to diverse needs – from the busy beavers to the active Janes – and help relief lifestyle induced muscle ache and tension from the top of the head to the tip of the toe. The uLove 2 massage chair Signature massage program maximizes the utilization of its cutting-edge technologies, The V-Hand and 4-Hand Massage which target relief for four major areas: The head & neck, neck & shoulders, lumbar & buttocks, and buttocks & thighs. You can also download new massage programs via the uLove 2 massage chair App for free. The uLove 2 App pairs seamlessly with your smart devices allowing you to easily select your massage programs and manage your chair experience. Two exceptional features of the uLove 2 is the state-of-the-art 3D surround sound and the wireless Bluetooth music playback. Experience audio-visual induced relaxation like no other with the new and improved uLove 2 massage chair speakers that are carefully positioned and optimized to provide the best resonance and the 3D sound field that envelops the listener. You can download original tunes from the uLove 2 massage chair App to enjoy for the full harmonic sound experience. To help elevate your entertainment experience, you can watch videos on your smart device using the Entertainment Stand while keeping it charged via the uLove 2 USB port. When it comes to esthetics, the uLove 2 massage chair exhibits an outstanding workmanship with the incorporation of high-quality, quilted leatherette that comes in an array of chic colours. 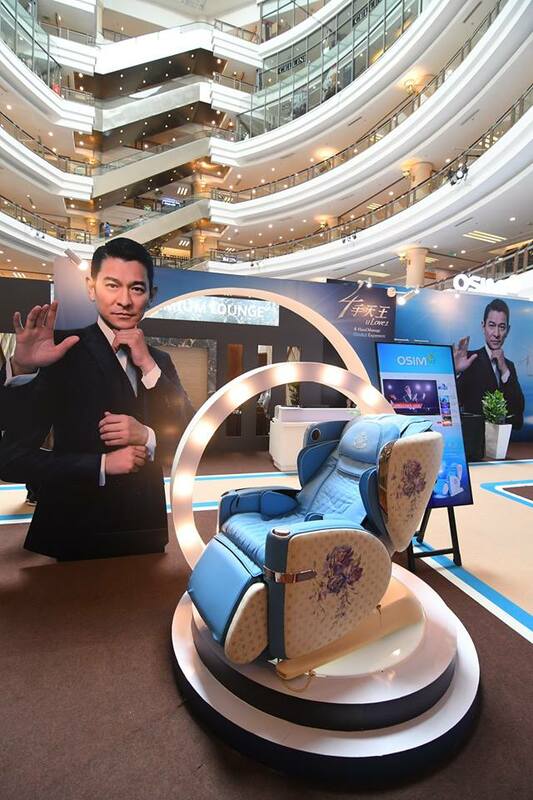 The uLove 2 limited edition massage chair’s signature blue colour is a flawless depiction of a vibrant blue sky adorned with hand-painted peonies on each side especially commissioned for this launch, complemented by the royal crest. Since ancient times, peonies motif has been recognized as a representation of fortune and beauty, a marriage that perfectly depicts uLove 2’s grandiosity. The limited-edition massage chair also comes in a signature pink colour. Other available choices include Bold Green, Sophisticated Brown and Chic Purple. Each of these shades is selected to perfectly complement the hand-painted Magnolia blooms design – a symbol of nobility and purity – that embellished the sides of the chair. Inspired by popular interior décor trends that utilizes palette that exudes subtle sophistication, uLove 2 is a versatile accent piece that complements and accentuates every living space and fits right into your home. In conjunction with the launch of uLove 2 massage chair, OSIM Malaysia has invited friends from the media and members of the public to experience the ultimate pampering received by passengers on board first class flights at the OSIM First Class experience event happening at the New Wing of 1 Utama Shopping Centre (LG Floor Oval). Take a ride on OSIM Airlines to a mysterious destination in town and experience this first-class treatment yourself starting from 3-14 October 2018! 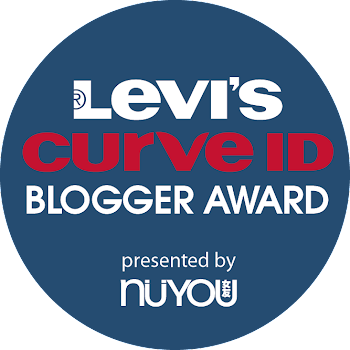 Seats are limited; guests who register at http://bit.ly/2xqoWs4 will receive a personalized passport holder.